DENVER — Blo Blow Dry Bar, North America’s original blow dry bar and the world’s largest blow dry bar franchise, announced today the opening of its newest bar in Denver LoDo, marking the brand’s third location in Colorado. 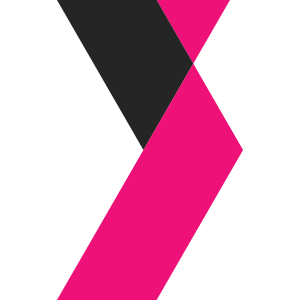 Located at 1750 Wewatta Street, Blo LoDo is rolling out the pink carpet for its March 22 opening and celebrating with $29 blow out specials throughout the weekend. Blo LoDo is conveniently situated inside Colorado’s highly anticipated condominium building, The Coloradan. With trendy retailers, dining options and Union Station in close proximity, flawless hair and makeup is now easily accessible for those in the area, any time of the day. Blo’s expertly trained team of stylists is ready to get Denver locals tressed to impress through top-notch style services, treatments and personalized care. “Our team is excited to continue to grow our brand in Colorado with Christopher and John. Together they have great attributes that without a doubt will set them up for success in Denver,” said Vanessa Yakobson, CEO of Blo Blow Dry Bar. Recognized as America’s original blow dry bar, Blo Blow Dry Bar believes in creating an inclusive space where people of all ages, ethnicities and orientations can feel welcomed, represented and gorgeous. Combining a sophisticated design with a fun and lively environment, Blo creates a seamless and enjoyable experience for guests from start to finish. Expertly trained bloers are available for consultation seven days a week to meet the needs of all customers. Blo’s hair menu includes seven signature styles to choose from, ranging from a sleek ponytail to flirty and bouncy curls. Blo Blow Dry Bar is North America’s original blow dry bar and the world’s largest blow dry bar franchise. The company transformed beauty norms and reinvented the salon industry when it launched the “no cuts, no color” concept: only blow outs. 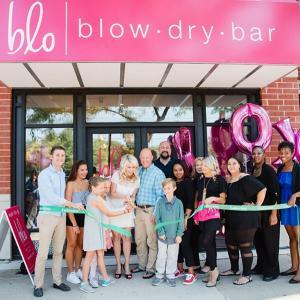 Since opening its first location in Canada in 2007, Blo has grown to over 130 locations across the U.S., Canada and the Philippines and continues to expand rapidly. With a mission to enhance the lives of those in the community through the power of flawless blow outs and beauty services, Blo Blow Dry Bar offers perfectly styled hair and exceptional customer experiences seven days a week. For more information visit www.blomedry.com.